We get some questions about the ingredients used to make Creatop, so we want to provide a little more insight! The main active ingredient in Creatop is creatine. Creatine is one of the most-researched and highly popular supplements in the fitness world. Before now, the industry was limited to oral creatine. We are proud to be changing the game in fitness supplements. Contributing active ingredients are chondroitin, a chemical that is normally found in cartilage around joints in the body, and glucosamine, which supports the structure and function of joints. 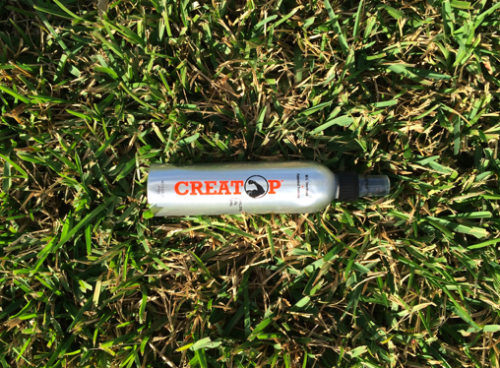 Glucosamine is one of the most common non-vitamin, non-mineral, dietary supplements used by adults in the U.S.
Also, Creatop is alcohol-based so that it dries quickly and stays blended in with your skin. Some of the skin-focused ingredients include penetration enhancers, skin smoothing agents, and stabilizers.